John Meacham of Newsweek magazine moderated an informal debate between Southern Baptist Pastor Rick Warren and atheist Sam Harris. The conversation was wide-ranging and free-wheeling. I’m not going to comment on the entire debate, but I was interested to see this exchange about biblical inerrancy. MEACHAM: Is the Bible inerrant? WARREN: I believe it’s inerrant in what it claims to be. The Bible does not claim to be a scientific book in many areas. MEACHAM: Do you believe Creation happened in the way Genesis describes it? WARREN: If you’re asking me do I believe in evolution, the answer is no, I don’t. I believe that God, at a moment, created man. I do believe Genesis is literal, but I do also know metaphorical terms are used. Did God come down and blow in man’s nose? If you believe in God, you don’t have a problem accepting miracles. So if God wants to do it that way, it’s fine with me. Schaeffer says that the phrase “in all that it affirms” is a loophole for those who want to affirm inerrancy, but only in matters relating to religious life. Schaeffer is not taking issue with the statement per say, but in how that statement is used, or should I say, abused. Likewise, for Warren to say that the Bible is inerrant “in what it claims to be” is analogous to such a loophole. Why the qualification? This begs an answer. In any case, Warren has marked himself with his own words–words which should cause us great alarm. It is a sad commentary on the present state of Evangelicalism that the likes of Rick Warren and Joel Osteen have replaced Francis Schaeffer and Carl Henry as the go-to spokesmen for such things. #1. Rick Warren is not liberal. #2 Rick Warren > Denny Burk on Church Building. #3 Schaeffer and Henry are dead. Rick Warren speaks for the religious convictions of more non-Christians than evangelicals. That says enough for me. And though Schaeffer and Henry are dead, their legacy lives on in their writings and the Christian leaders they influenced (too many to name). Warren? I don’t think his books will make it to another generation. I’ve often thought about this issue and I like this site a whole lot. I think I really try hard to guard what I believe about the bible and my understanding of inerrancy. Denny, what do you think about the Genesis account being from a more “phenomenological-like” viewpoint or description, rather than a cosmological viewpoint. As cautious as I am about Warren, is that possibly all he’s saying? Would it be that bad if he took it that way? Or if I did? How might this wreck inerrancy? The main reason (although there are a few) why I think the creation account might be something of a phenomenological description is because it says that the sun, moon, and stars were placed in the expanse. And that this is not giving an idea of outer space, but as surrounding verses indicate, this is where the birds fly. To me this sounds just like all the other language in the Scriptures about the sun rising and setting. Just in case your wondering, I do think the flood was global. Even from a phenomenological viewpoint if it says that the waters cover the tops of the mountains, the only way it could not be global was if the viewer and his mountains now covered by water were actually surrounded by other mountains high enough to contain them in fillable pool-like valley. And the valley would have to be big enough that you couldn’t see it’s enclosing mountains from one horizon to the other, right? So, I’m awaiting further comments on inerrancy. Boy, I guess nothing brings out the comments like a Rick Warren post. Piper’s Message to pastors – no comments. Rick Warren – 6 already. It seems to me that this ‘debate’ was sort of silly from the outset. Rick Warren is a pastor, Sam Harris a Ph.D. student in neuroscience – and neither a biblicist. I didn’t read the whole thing, but in the comments that Denny has highlighted, they are discussing the bible. Sam Harris clearly has no idea of the nuances of the evangelical view of inerrancy, and Rick Warren is similarly ignorant of science – which is why (I think) he makes that claim about the bible not being a science text book. So the discussion can go nowhere profitable, because neither is properly qualified to speak to the other’s particular area of expertise. Secondly, to the other posters and to Denny – how are we to take Genesis 5 and Genesis 10? Open or closed genealogies? Denny mentions the flood, Babel, but what about those more problematic chapters? I mean, these chapters certainly make the literal interpretation of Genesis slightly more difficult. I don’t want to write a full essay, so I will leave my comments at that for now. But in the interest of full disclosure: I don’t believe in a literal 6 day creation, I don’t think the ‘flood’ was universal,’ and I think Genesis 11:1-9 was likely composed in the 6th century BC. And I hold resolutely to biblical authority. Why in the world then do we expect the reading of Genesis to be absolutely literal? I fully believe that God created everything on the planet, and us besides. However, why are we binding God to our interpretation of a day when his interpretation of a day is so very fluid? Perhaps Vanhoozerâ€™s comments on inerrancy are worth repeating here. He says, â€œIs every word in Scripture literally true? The problem with this question is its incorrect (and typically unstated) assumption that â€˜literal truthâ€™ is always literalisticâ€”a matter of referring to history or to the â€˜factsâ€™ of nature.” His whole article is well worth reading. The best Iâ€™ve read on inerrancy. I knew Francis Schaeffer (not really, but I did hear him speak in person once) and Rick Warren is no Francis Schaeffer. But give him a break – I thought he did a reasonable job. Warren, despite the claims made by his publicist, is not a theologian, either by training or aptitude- sorry to offend, but a D. Min does not qualify someone to pose as a ‘theologian’. One wonders not only about the staying power of Warren’s books, but his legacy as well. I mentioned Schaeffer and Henry as two of the most respected Evangelical spokemen for their generation, but if you look around today their legacy is seen in their disciples-Schaeffer: David Wells, Os Guinness, William Edgar. These men were all nutured under him at L’Abri. Henry, because he labored in academic institutions, made a profound impact on men like Albert Mohler and Russell Moore, to mention only two. And of course, both Schaeffer and Henry were shaped and moulded by two of the giants of the 20th cent. Cornelius Van Til and Gordon Clark.Warren, on the other hand, stands in the shadow of Robert Schuller and Bill Hybels. All things considered, I suppose that was the best he could do. So, how constructive is a conversation where questions aren’t answered, and Christian men tear each other down? Pointing out the wide gap between the likes of Schaeffer, Henry and Warren is not ‘tearing ‘ Warren down- it is a valid observation.Those two men were much better equipped to deal with the likes of Harris than a Rick Warren. A much better dialogue would have been with one of their disciples like Wells, Guinness or Mohler. Can you image putting Warren in a similar situation with Bart Ehrman? Wouldn’t you much rather have our own Denny Burke in the ring? You asked earlier about my reading of Genesis. I’m a young-earther. I don’t think Genesis 1-11 falls into the genre of myth or anything like that. The TOLEDOT formula gives a narrative unity to the whole book (Gen 2:4; 5:1; 6:9; 10:1, 32; 11:10, 27; 25:12f, 19; 36:1, 9; 37:2), and I approach Genesis 1-11 the same way I approach Genesis 12-50. Anywho, that’s my view in brief. So, this is what it’s come to, huh? Rick Warren meets with Sam Harris and defends the truth of the Bible, and all you guys can do is bash the guy. All I hear from some of you is that he’s no Francis Schaeffer of Carl Henry? Well, who is? I’ll tell you guys this as well: Francis Schaeffer and Carl Henry were no Rick Warren. Schaeffer and Henry, for all their intellect and philisophical acumen, were not as effective outside of the academic community as Rick Warren is. Also, Rick Warren’s efforts in Africa and throughout the world are phenomenal. And, say what you will about Warren’s Purpose Driven Life, but, though it may lack theological deapth, his main conclusions about the purpose of humanity are pretty much correct. His book has sold more copies than Schaeffer or Henry could hope to sell, and he’s got tremendous impact in the world. But I guess that’s not enough for this bunch of knit-picking blog surfers. Seriously, some of you guys would demand more of Jesus for drawing pictures in the sand instead of delving into theological platitudes. It’s ridiculous!! How about being happy and rejoicing over the fact that the authority of the Bible and a miraculous view of God is being upheld in one of the largest publications in the world? Never mind. I guess that would be too intellectually shallow. And, Denny, if “Thereâ€™s really not enough here to go on”, then why are you “going on” it? This seems trite to me. Also, you say “Obviously, he claims to believe in a historical Adam, but what about Babel, the Flood, etc. ?” Did you miss the part where he says “Did God come down and blow in manâ€™s nose? If you believe in God, you donâ€™t have a problem accepting miracles. So if God wants to do it that way, itâ€™s fine with me.” Rick Warren obviously doesn’t have a problem with taking the supernatural and miraculous claims of the Bible literally. How can all you intellectuals miss this? Geez! Cut the guy some slack!! Do you think that the people who arranged this thing wanted Warren to come out smelling like a rose? Warren is not a skilled apologist. He does not have the where-with-all intellectually of a Schaeffer or a Henry- and the number of copies his books sell is a non-factor.To put it bluntly, he is out of his league. As I said, would you want Warren to lock horns with a Bart Ehrman? He is not equipped to do that and would look foolish in a field of study with which is not trained.You no doubt admire him for his otheraccomplishments- fine-but he is out of his element in this context. It’s like saying that since I really admire Tiger Woods golf game he should play QB in the NFL ( actually, he could probably do that better than Warren could assume the mantle of ‘Defender of the Faith). Uhhhh, tell me something I don’t know. I never claimed that Warren was an intellectual. As a matter of fact, I went out of my way to point out that he’s not. I have no disagreement with you or anyone else on that fact. My problem is that those of you who claim that Warren is out of his league are no better!! You guys are out of your league as well. That’s what makes all of this goofy criticism so silly. If you think the matchup is unfair, don’t blame Rick Warren – blame Newsweek. The fact here is that Warren, even with his limitations, doesn’t say anything really wrong. He may not be as comprehensive as some may like, but he doesn’t misrepresent the Bible or Christ. So, Rick Warren isn’t comprehensive in a discussion of apologetics… Well, who in their right mind would think that he would be? So, my point is not that Rick Warren is a great theologian or wonderful defender of the faith. My point is that he is a guy who loves Jesus and is doing his best to bring glory to the Gospel… even with his limitations. So, why is he getting blamed and bashed for being himself and not being Francis Schaeffer? As for me, I blame the people who think Tiger Woods should play QB, but I don’t blame Tiger Woods for giving it a try. That, my friend, would be intellectually foolish. So, how constructive is a conversation where questions arenâ€™t answered, and Christian men tear each other down? What is wrong with you Rick Warren haters. He defended the word of God. He is not a trained debater or theologian – he is a pastor. I’m sure you’re trying to say something good, but I’m not sure what it is. Not being sarcastic, just honest. Could you elaborate? this is what I am saying: Denny posts something on Rick Warren. Then, in most of the 20 successive posts, people tear the man down because he’s not this, that or the other. When people ask questions, questions are ignored so that people can go back to tearing down their fellow Christians. I can’t say that I see the point. I hope I’m not overstepping my bounds by offering up my opinion, but I think you shouldn’t take things so personally. Perhaps Denny is choosing to spend some quality time with his family. Maybe Denny’s life doesn’t revolve around answering your questions. The purpose of a blog is for the writer to post on topics they find interesting. The comments section is there for everyone else to be allowed to throw in his 2 cents worth. The blogger is then able to analyze the aforementioned comments and do with them what he pleases. Whether that means responding to a comment, carefully using a comment to reassess his own position, or ignoring the comment it really is no reason for commenters to be frustrated about. After all, the commenter could always choose to not read the blog and not make a comment. I think you might have missed my point here. My fault was not found with Denny, who was just posting an article on his blog. Rather, it’s found with the others who decided that it is better to rip a man down. Especially when there are questions being asked that are far more important than whether or not Rick Warren is the best person to debate Sam Harris. Basically, here’s the deal, Jason: one of the main reasons I check out this blog is to be edified. If I have a question, I certainly hope that one of the many people that make comments here that claim to be Christians would have an answer. And so to see those same people tearing down a fellow Christian instead of engaging someone who is seeking the truth, well, it’s just proof of how far we really are from Christ’s expectations of the church. I have never been the one who debate over the Bible because you are either a believer or a non-believer. Some people take a few verses from the Bible and interpret them without reading the before AND the after in order to understand it. Question to the non-belivers: If you don’t believe what happened in Genesis, well how do you explain what is happening in the world now? “And ye shall hear of wars and rumours of wars: (Matt. 24:6) For nation shall rise against nation, and kingdom against kingdom: and there shall be famines, and pestilences, and earthquakes, in divers places. (Matt. 24:7) And many false prophets shall rise, and shall deceive many.(Matt. 24:11) This know also, that in the last days perilous times shall come. For men shall be lovers of their own selves, covetous, boasters, proud, blasphemers, disobedient to parents, unthankful, unholy,Without natural affection, trucebreakers, false accusers, incontinent, fierce, despisers of those that are good, Traitors, heady, highminded, lovers of pleasures more than lovers of God; (2Tim. 3:1-4) The father shall be divided against the son, and the son against the father; the mother against the daughter, and the daughter against the mother; the mother in law against her daughter in law, and the daughter in law against her mother in law. (Luke 12:53)”. Did some great Psychic just make these things up and write about it? No, my belief is in the Gospels. I can’t speak for anyone else, but there was not intent for my comment to be a bashing of Warren, rather to provide a historical anecdote that had particular relevance to what Warren said. My point was to show by Warren’s statement on inerrancy, he does not stand in line with those who have argued for the full authority of Scripture (e.g. Schaeffer, Henry, et al). Evangelical leaders have sought to draw a line and separate themselves from those who have compromised on Scripture’s authority/inerrancy/infallbility. â€œWhat is the use of evangelicalism seeming to get larger and larger if sufficient numbers of those under the name evangelical no longer hold to that which makes evangelicalism evangelical? If this continues, we are not faithful to what the Bible claims for itself, and we are not faithful to what Jesus Christ claims for the Scriptureâ€ (64). Alan, I don’t mean this in a pejorative way, but when you said, “He is not a trained debater or theologian – he is a pastor,” that is part of the point. 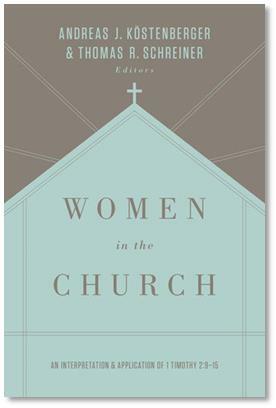 Pastors have become anything but theologians and skilled workmen of the Word (2 Tim. 2:15). No, we don’t need a debater, but we do need someone who is competent to stand on essential matters of our faith. The issue of biblical inerrancy is such an issue. We have many a man of our time, but we scare can find a man for our time. what if such matters as Warren is discussing ARE confusing? As I said before, time is used metaphorically in the Bible many times. Why in the world do so many see fit to be literal on the point of the creation story? After all, if God sees a thousand years like a day and a day like a thousand years, maybe, just maybe in this case, His days were not our days. And trying to make God into our image is a very, very, very slippery slope, is it not? That said, I am glad that we have pastors out there that are willing to answer things in a way that says, “you know what? I don’t know.” And that’s pretty much what Warren sounds like he’s saying. I know that Jesus died for my sins, and I know that His Father is our Father in Heaven. Everything else I’m going to question and/or probe till the day I die. Now, is Rick Warren in the same league with William Lane Craig or Ravi Zaccharias? Absolutely not, and I’d much rather that they be the ones doing the debate. However, that just isn’t the case. And just because he doesn’t answer the way that you’d like him to doesn’t mean for one moment that he’s wrong (yet). It just means he’s different. How do you know these things? On what basis? Private, extrabiblical revelation? Experience? Or the Scripture? If it is the Scripture, is it true? Is it trustworthy? Is it authoritative? Is it inspired by God? If you say that you are going to question everything else till the day you die, are you not culpapble of taking the God who has spoken in contempt? If He has spoken, does His Word contain errors? Does this not reflect the character of God, and thus slight His perfections? You see, the basis on which a Christian knows that Jesus died for his sins, and that His Father is our Father is upon the Word of God alone (sola Scriptura). If the basis of our knowledge (revelation) is suspect or shown to be fallacious, then we have no sure word or certain grounds for belief. One the foundation is removed, one’s justification of belief is as good as anyone elses (Psalm 11:3). The fruit of this is moral relativism and religious pluralism where no truth is binding on anyone else. Truth is not objective, propositional, absolute, or final; rather truth is relegated to a privatized experience where one’s inner feelings or subjective analysis is final arbiter of truth or reality. This existentialism is in large part what Schaeffer wrote against, what I also stand against. I believe God’s Word is trustworthy and true from cover to cover, that it is authoritative and binding as the timeless yet timely revelation of God upon all ages and all cultures. I know I am sinner because of what God has told me. I know who Jesus is because of what God has told me. I know I needed forgiveness and pardon because of what God has told me. I know I have been redeemed by Christ, saved by grace, and assured by His promise because of what God has told me. Where did God tell me this? Jesus dying on the cross for my sins? Pretty straightforward. God being our Father in Heaven? Pretty straightforward. Is there a God in the universe? Absolutely. Is it our God that we worship? Absolutely. No room for questions on any of that stuff. The creation story? Lots of room for questions. So, I’m asking them. And I’ve still yet to find a fellow Christian that’ll answer them. Try http://www.icr.org, lots of good stuff on there. 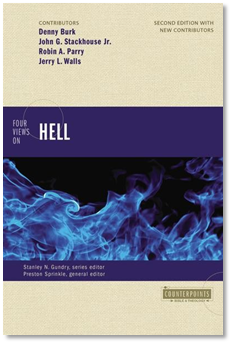 As far as the creation story, I recommend John Walton’s commentary on Genesis in the NIVAC series. It’s hard to go in to everything he covers here (he sees the creation account as related to the temple) but I think his explanation is the most satisfactory that I’ve come across so far. I also liked the way he addresses the flood and Babel as well. I was really surprised at the commentary as I was expecting it to be a little more, for lack of a better word, conservative. Anyway check it out if you get a chance. 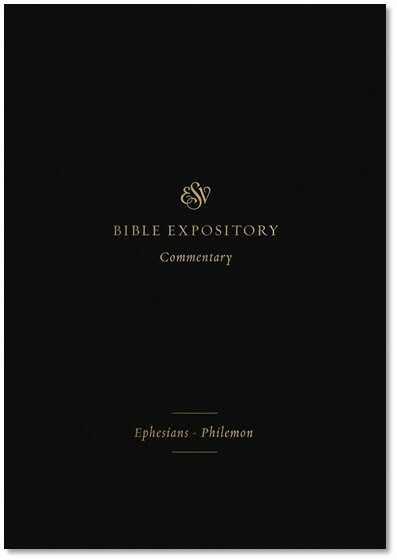 Also, as for commentaries on Genesis, Gordon Wenham’s in the Word Biblical Commentary series is also helpful. Wenham is very keen to expose the literary nature of the text, so he emphaizes that. I don’t remember what exactly he says about the creation story, but the commentary is generally solid. I believe you missed my point (in my last comment). I am not saying that you should “probe.” Quite the contrary. The stuff that you see as “straightforward” and has “no room for questions” is questioned by other people who also question Gen. 1-11. What is the basis of your belief in the straightforward stuff? Is it Scottish common sense realism? Reason? Revelation? If the Bible serves as the foundation of your belief in these things, then you have found it to be true and trustworthy. But can the Bible be true in some areas and false in others? If people can deny the truthfulness of Gen. 1-11, then why not deny the truthfulness of the gospel of John? (See the Jefferson Bible for example). God has inspired the “hard” and “obscure” texts inasmuch as he has inspired the “easy” and “straightforward” texts. We all should be good Bereans (Acts 17:11) and diligently study Scriptures. The breaking point is when you interpret in a way to accommodate to the palatable tastes of our time, such as the hermeneutics of doubt and deconstructionism. Scripture judges our time, our thoughts, and our culture, not vice-versa. In the end, we will find the folly of man turned to dust on the anvil of God’s Word. When all mouths are stopped, and the flower has long faded, the Word of God will still stand and speak. What I find today is utter arrogance of human autonomy (even among evangelicals) who speak where God has not spoken and remain silent where God has spoken.